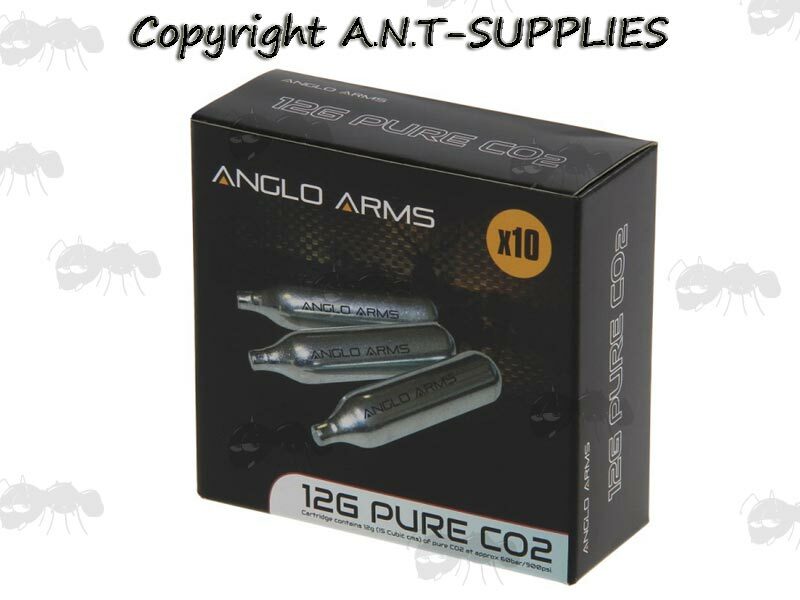 For CO2 rifles and pistols. One box contains 10 x 12g capsules. Each contains 12g (15 cubic cms) of Co2 at approx 60bar/900psi. 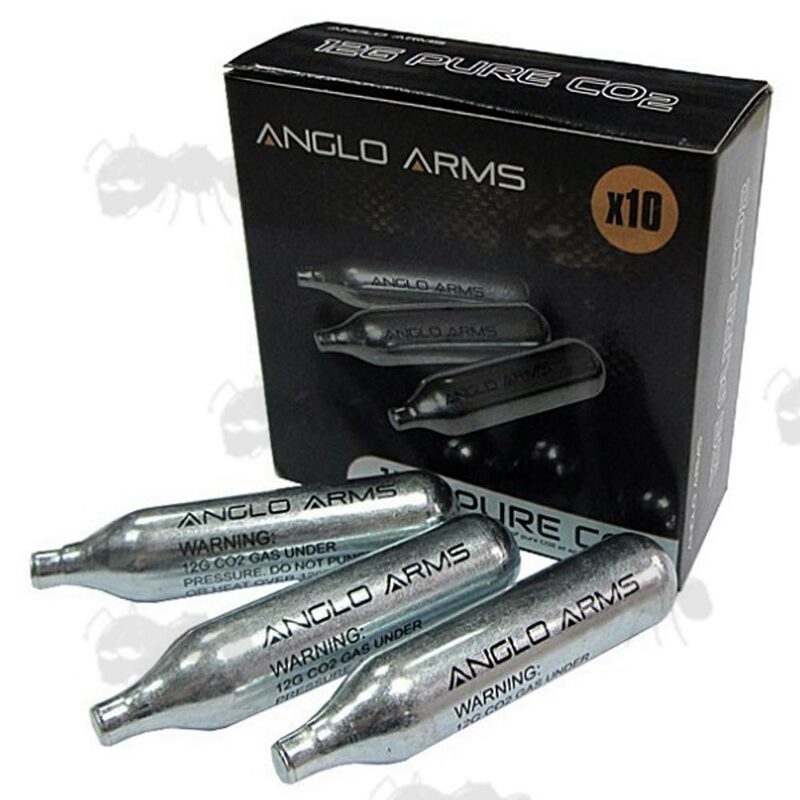 Each cartridge is approx 83mm long x 18mm diameter. Please note that these are disposable, and not refillable. Do not unscrew until empty. Contains Carbon Dioxide (E290) under high pressure. Only use with a device approved for this cartridge and follow manufacturers instructions. Explosion dagger ~ 50c max temperature. Do not take onboard an aircraft, we can not send these outside the UK mainland. Made of steel so please recycle empty capsules ~ www.recyclenow.com.